Next, click ‘Apply’ . 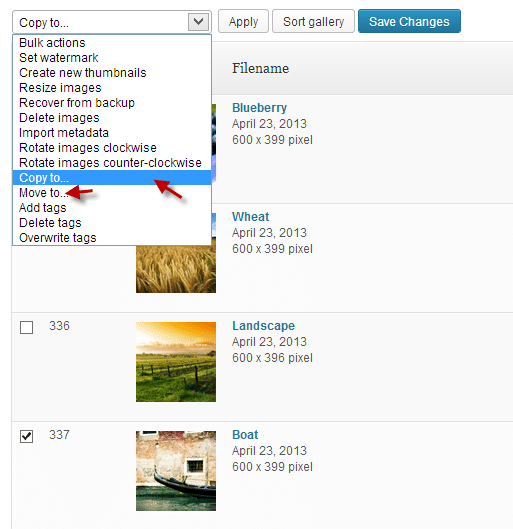 A pop up window will appear where you will select the gallery to copy/move images to. Once the process is complete, be sure to click ‘save changes’ !